Therapeutic use of gene editing with the CRISPR-Cas9 technique may inadvertently increase the risk of cancer, according to a new study from Karolinska Institutet, Sweden, and the University of Helsinki, Finland, published in Nature Medicine. Researchers say that more studies are required in order to guarantee the safety of these 'molecular scissors' for gene-editing therapies. CRISPR-Cas9 is a molecular machine first discovered in bacteria that can be programmed to go to an exact place in the genome, where it cuts the DNA. These precise 'molecular scissors' can be used to correct faulty pieces of DNA and are currently being used in clinical trials for cancer immunotherapy in the U.S. and China. New trials are expected to be launched soon to treat inherited blood disorders such as sickle cell anaemia. "By picking cells that have successfully repaired the damaged gene we intended to fix, we might inadvertently also pick cells without functional p53," says Dr. Emma Haapaniemi, researcher at the Department of Medicine at Karolinska Institutet in Huddinge and co-first author of the study. "If transplanted into a patient, as in gene therapy for inherited diseases, such cells could give rise to cancer, raising concerns for the safety of CRISPR-based gene therapies." 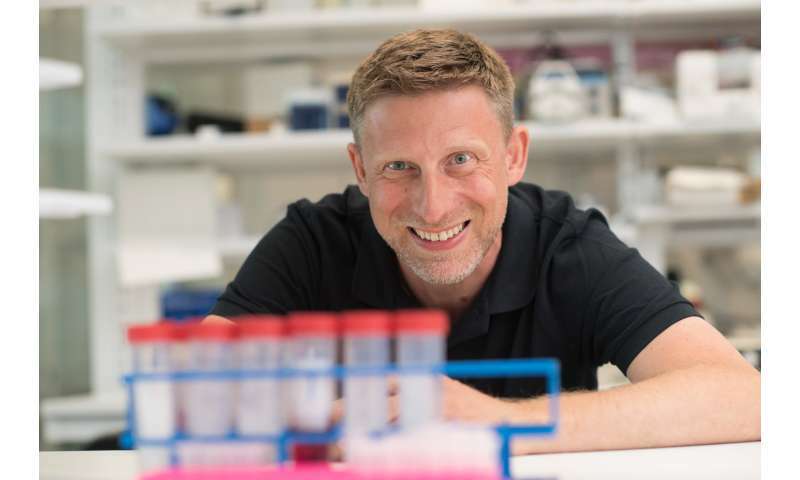 "CRISPR-Cas9 is a powerful tool with staggering therapeutic potential," adds Dr. Bernhard Schmierer, researcher at the Department of Medical Biochemistry and Biophysics at Karolinska Institute, who co-supervised the study. "Like all medical treatments however, CRISPR-Cas9-based therapies might have side effects, which the patients and caregivers should be aware of. Our study suggests that future work on the mechanisms that trigger p53 in response to CRISPR-Cas9 will be critical in improving the safety of CRISPR-Cas9-based therapies."